To talk of Arsène Wenger’s effect on Arsenal Football Club would be to talk of man who led the club into the brave new world of the Premier League just four years after its inception. It would be to talk of a man who changed the club’s philosophy, looked inwards for talent and grew it out of the despairing reigns of Bruce Rioch and Stewart Houston. Going back further, it would be to understand the change Wenger implemented at Arsenal after the pragmatic but often challenging rule of authoritarian George Graham. The Frenchman’s time at Arsenal has been long and eventful. But would his time in north London alone constitute him being considered a mastermind? Probably not. However, to talk about Arsène Wenger’s impact on the wider Premier League would be to discuss the single greatest foreign influence in British football history. A man who revolutionised the game alongside his nemesis Sir Alex Ferguson. It would be to talk of a little-known, spectacled economist that the press dubbed “Arsène who?”, who came into the most regressive of Europe’s top three leagues at the time and rewrote the rulebook with modern coaching techniques and attacking, fluid football. For Wenger, yesterday was for yesterday, and tomorrow was for today. This is the story of Arsène Wenger: the man who came from nowhere to make enemies, underachieve in his haul of trophies, but completely alter what was possible in English football. This is the story of a mastermind’s work beyond the seat he has occupied for two decades now. And it starts over half a century ago years ago in eastern France, when Ipswich were champions of England, Burnley were runners-up and Jimmy Adamson was the reigning Player of the Season. Unlike so many of the big names in management whose careers have spanned decades at the highest level of the game, Wenger’s playing career was about as detached from his philosophy of management as is humanly possible. Wenger was noted for his academic strength, regularly topping his primary school class and spending time taking part in extra-curricular activities. It was also at school where his love for chess was born. He was a strategist from an early age and enjoyed the challenge of using methodical thought-processes to get the better of his opponent. It’s ironic that all these years later, Wenger is criticised for a lack of tactical nous. Football really is a world away from anything else. Spending time watching boyhood club Strasbourg play, as well as making the short hop over the border to Germany to watch his idols at Borussia Mönchengladbach, Wenger fell instantly for a sport associated with the working classes and kids in school that failed to excel. In football he saw thought – he saw the chance to outwit and outmanoeuvre. Despite his obvious limitations as a player, it was his ability to intelligently craft a performance as a child that saw him succeed in the youth teams of FC Duttlenheim, a German-esque club based in Wenger’s hometown. The Frenchman had a unique way of moulding his own game; in his parents’ bistro he would study football, analysing the behaviour of fans who would spend hours watching re-runs of matches and the odd live broadcast. He studied what they liked, what they disliked, and spent time formulating his game accordingly. Being the player that fans wanted to see was key to Wenger, with the process often more important than the end result. It’s these same traits that frustrate and wow in equal measure at Arsenal today. In the bistro, he also learnt of the perils that mixing alcohol and football could bring. Despite it being the livelihood of his family, the bistro played home to aggressive, alcohol-fuelled behaviour when the football was on. In one notable encounter, as an 11-year-old watching the FA Cup final in 1961 – which Spurs won – a group of fans inside the bistro spent hours drinking, leading to a number of fights. Arsène had been surrounded by alcohol and unruly behaviour throughout most of his early life. It was perhaps fate, then, that when Wenger was appointed Arsenal manager in 1996, he inherited a captain in the early stages of recovery from alcoholism. It would take over 18 months for Tony Adams to reach his peak form again and for Wenger to open up to his captain about his early experiences in dealing with alcohol. Those days in Alsace helped him understand the challenges of alcoholism, and he successfully nurtured one of England’s greatest defenders back to his best. An average player technically, and lacking the physical traits to ever make it as a seasoned professional, Wenger’s early years at Duttlenheim were characterised by his leadership of the team. Even at the age of 16, Wenger was taking training sessions and leading the side on match days. It was with Hild that Wenger would frequently visit Germany to watch Bundesliga games, often impressed by the physique of the players on show and their ability to run hard for 90 minutes. He would speak to the coaches at Gladbach about their regimes, with one word constantly cropping up: nutrition. The Germans were pioneers ahead of their time, especially at Gladbach. 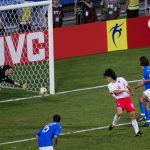 They often trained twice a day – in the evening to prepare the body for games played at that time – and ate well. It was this meticulous approach to preparing players’ bodies for the rigours of professional football that saw the German club win five Bundesliga titles in the 1970s and two UEFA Cups. Wenger was sold. In his mind, a players’ body was sacred – it had to be protected. It was in Germany, alongside Hild, and later in France at Paul Frantz’s Mulhouse, a club he represented as a player for two years between 1973 and 1975, that Wenger’s beliefs on the importance of nutrition and isometrics were formed. Frantz is widely considered to be the forefather in French football with regards to combining science and football. Though his career as a manager was largely undistinguished, it was his role in shaping the careers of Aimé Jacquet, Roger Lemerre and Guy Roux that had implications on French football for decades to come. He emphasised the importance of physical conditioning and would later receive the prestigious Trophée Georges Boulogne for his work in the game. It was around this time, in 1971, that Wenger enrolled at the Faculty of Economic and Management Studies at the University of Strasbourg to study politics and economics. Academia was always at the forefront of Wenger’s mind and, knowing that an elongated stint at the highest level as a player was unlikely, he turned to education. His parents, Alphonse and Louise, had hoped that Wenger would use his degree to grow their automobile repair shop. Arsène had other ideas. 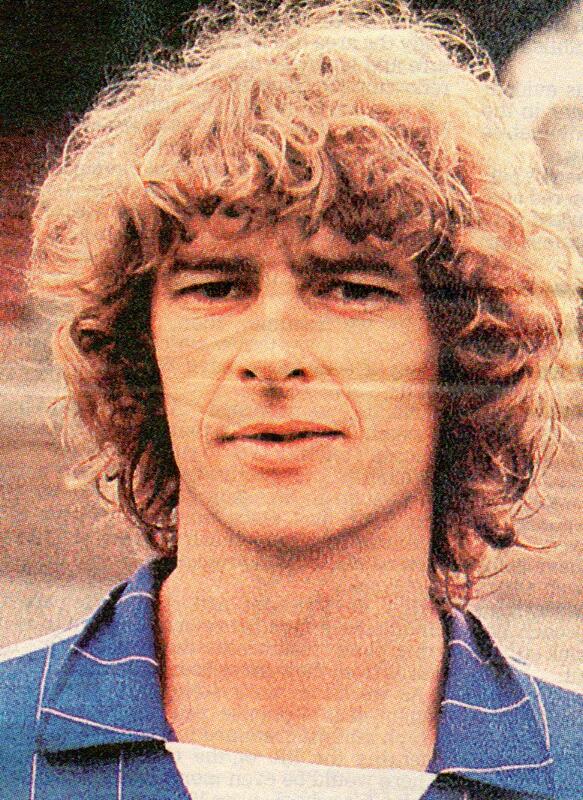 By 1979 Wenger was well on the way to becoming a manager. Having coached the RC Strasbourg reserve team alongside a brief stint as player, Wenger enrolled to take his coaching badges and spent two years mastering the art of science and football. He was eventually awarded a manager’s diploma in Paris in 1981 and was set to take the next steps in a managerial career that was always on the horizon. Wenger’s first managerial role would be at AS Nancy on the recommendation of Michel Platini’s father, Aldo. It would also be the most influential, philosophy-shaping stint in his career. What Wenger became later on in football was shaped at Nancy’s Marcel Picot stadium. A promising first season, one in which Wenger was unable to spend anything in the summer, saw the club finish in 11th, three places higher than the previous campaign. In attack the team was sublime, registering the same number of goals as fourth-placed Auxerre and just four fewer than runners-up Nantes. Though frailties were evident defensively, the conditioning programme that Wenger implemented helped the club play a flowing, fast-paced brand of football. Their pressing high up the pitch was a first for Les Chardons. Despite suffering relegation the next season after again being unable to sign any players, Wenger recruited from within and handed debuts to a number of promising youngsters. His belief was simple: use science and advanced, technical training concepts at an early age to better prepare youngsters for the rigours of the first team. It worked at Nancy and would work again years later at Monaco and Arsenal. At Nancy, Wenger also improved the club’s facilities. What money was on offer at the beleaguered Lorraine side was spent on improving the quality of the playing surface at the training ground, the gym and the creation of a one-man sports science department. It was a wholly new concept in French football and would be the same over a decade later in England. Wenger, having dealt with the enormous blow of seeing Nancy relegated, was struggling to see how his work could progress at the club. With that in mind, it was almost impossible to turn down the might of Monaco in 1987. Arsène was off to the principality to take his first major step on the road to glory. Three years into his managerial career Wenger was finally able to spend some cash – and he didn’t disappoint. In came the unlikely signings of Englishmen Mark Hateley, from AC Milan, and Glenn Hoddle, a player Wenger believed was under-appreciated and under-utilised in England, later saying that “if Hoddle was French, he would have won 150 caps for the national team”. Joining Hoddle and Hateley was Patrick Battiston, the outstanding French international. Wenger had shown his shrewdness in the transfer market, and the results would be instant. His Monaco side romped to the league title in his debut season, combining steel defensively in the form of Battiston, Claude Puel and Manuel Amoros, with the flair of Hateley, Hoddle, Youssef Fofana and Omar da Fonseca in attack. Wenger’s side was balanced, fit and hungry. His insistence that the players’ diets be micro-managed played a major role in their ascent from a fifth-place finish the season before. Wenger was now the toast of France. From his early years spent watching the Bundesliga’s high-pressure, high-tempo game to his fervent studying of modern training techniques, his managerial style was set, and success would surely follow. Wenger’s intelligence in the transfer market was highlighted further with his purchase of George Weah in 1988, arguably the greatest African player in history. Weah added a new dimension to the Monaco side, injecting pace and trickery, as well as direct running. Despite scoring more goals than the previous season and playing some of the best attacking football seen in Ligue 1 history, Monaco slipped to third the next season as Wenger struggled to balance his top-heavy side. At Stade Louis II, Wenger developed a reputation for playing a 4-4-2 formation combining flowing football with pace and promising youth prospects. He played with a focal point at the tip of the team, one holding midfielder and wide players that moved inside to overload in central areas. Wenger believed in flair on the ball and work rate off it. He has never wavered from that approach, even when tangible success has been in short supply. It was also during his time at Monaco that he became acquainted with David Dein at Arsenal, a moment which would have colossal implications in subsequent years. Football was Wenger’s obsession at Monaco. Gérard Houllier, close friend yet foe for a period in the Premier League, said of Arsène that he “lived in a barely furnished flat in Monaco”, with just a single video recorder for watching hours of training sessions and games back. Wenger’s obsessive streak has always been renowned and was a key attribute in his encyclopaedic knowledge of players, contributing to his spectacular success in the transfer market. His knowledge of the French league powered his ascent at Monaco. This was developed in the face of economic crises, as French football suffered gate receipt reductions of 50 percent in the late 1980s and early 90s. In fact, the low attendances were nothing short of shocking. 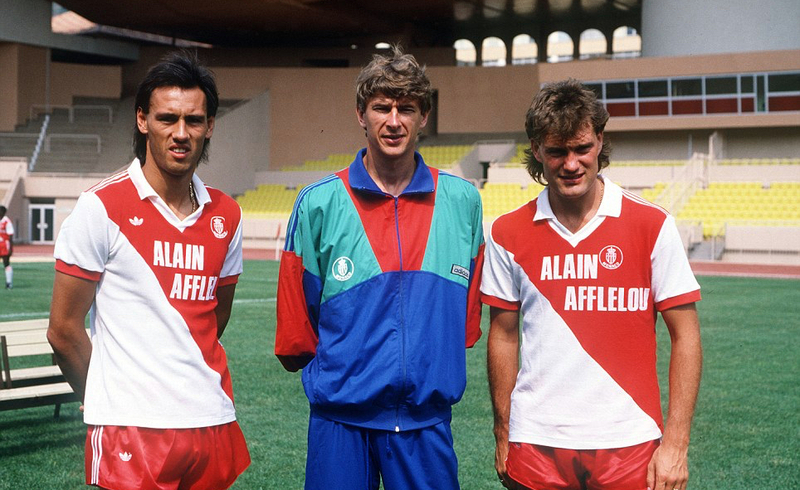 Some league games in 1988/89 saw as few as 2,000 spectators in the Stade Louis II, and although Monaco never attracted the sellout crowds of some of the larger clubs, they were nevertheless the defending champions and had acquired an array of talented players under Wenger. In the face of French football’s decline, much like he later did at Arsenal, he transformed the club into a genuine heavyweight. Monaco would finish third again in 1989/90, with another one of Wenger’s impressive signings, Ramón Díaz, notching 15 goals. Díaz was just the tip of the iceberg when it came to Wenger’s transfer dealing in Monaco. His hours spent watching the top two tiers in the domestic game had given him an unrivalled knowledge of the best players around, and his vast scouting network helped source outstanding talent from abroad. Wenger’s transfer revolution at Monaco, in particular his approach to sourcing talent, remains one of his greatest achievements. Wenger would experience success in the Coupe de France in 1991 but his later years at Monaco would be characterised by near misses, firstly in the 1992 Cup Winners’ Cup final and latterly in the 1994 Champions League semi-final. Despite continuing to add outstanding talent to his side, most famously Jürgen Klinsmann, Wenger eventually left Monaco in 1994 with the club sitting in a lowly 17th. His work was complete, however; he had completely transformed the perennially regressive club into one of Ligue 1’s powers. Wenger’s impact at Monaco was as profound for his effect on the principality club as it was on the wider league. French football was suffering in the midst of match-fixing scandals and economic crises but Wenger offered a new direction. He urged clubs to look within their academies and help develop a new generation of Les Bleus stars. It was this attitude that eventually led to the likes of Marcel Desailly, Youri Djorkaeff, David Trezeguet, Thierry Henry and Patrick Vieira leading their nation to glory at Euro 2000. His stint in southern France is often forgotten in the career of Wenger. Exclusively associated with Arsenal – understandably considering his 20-year affiliation with the Gunners – it’s nevertheless imperative to remember his spell at Monaco when making a judgment on Wenger’s career as a manager, a period that changed the face of French football and influenced a number of coaches and players in the domestic game. After a successful year-long spell at Grampus Eight in Japan, where he learnt of new techniques to improve the state of a player’s body and mind, and began his association with assistant Boro Primorac, one of his closest and most loyal allies, Wenger flew into London to join Arsenal at the request of his old friend David Dein. Little did anyone know at the time, but English football was about to change forever. It would be foolish, not to mention a waste of time, to recount Wenger’s glories at Arsenal – for some he is a master, a man who has utilised what he has in north London to great effect, while for others he has stagnated and failed to deliver on his early promise as manager. Wherever you stand – and there’s reason to fall on either side of the divide – Wenger’s impact in English football cannot simply be measured in the form of silverware. His impact extends far beyond anything that can be lofted above one’s head in May. Despite his struggles to win over the Arsenal dressing room and his derision from fans and the media alike, it wouldn’t take long for Wenger to help shape the future of English football. In came sports scientists, nutritional experts and highly qualified conditioning personnel – the first of their kind in Arsenal history. Out went the brutal morning runs, the three-hour training sessions under George Graham and the boring, repetitive sessions of Bruce Rioch. Wenger was doing things his own way, and the players were beginning to respond. Moreover, he was doing it by swimming strongly against the tide. He had to deal with the ludicrous media stories that he had previously enjoyed deviant relationships with men, women and even children. Attacks on his background, character and integrity were commonplace; the Ferguson-friendly media resented this new style of management. He was the ‘odd foreigner’ coming into ‘our game’ and changing the order. After all, how could he be so arrogant as to ban Mars bars at Arsenal? Having quashed the slanderous lies that were being circulated about his private life in an open-air forum outside Highbury, the press backed off and opinion slowly changed. Wenger, fighting to win over his dressing room, the packed stands and the media, was beginning to show the stubbornness and strength that David Dein knew was within him. It didn’t long for Wenger’s impact to come to the fore. Having banned the players from drinking together and ending the culture of ‘boozing sessions’ that were prevalent in the English game at the time, he worked to improve the players’ diets during the week. Each player was put on a specific regime to improve their strength and stamina, something that went hand-in-hand with his more athletic approach to match days. Pre-match meals, that had largely consisted of chips and beans prior to his arrival, were changed to boiled chicken, small plates of pasta and green vegetables. Vitamin supplements and cod liver oil was added to the players’ daily intake as were a range of post-match recovery drinks. This was a new approach for English football and managers up and down the country were taking note. Sam Allardyce would later replicate aspects of this approach to great effect at Bolton. Wenger’s first season at Highbury saw the Gunners finish third, a respectable return for a manager still learning the English game. The fans had been won over by the quality of football on show and by the imminent signings that would arrive at London Colney, Arsenal’s training ground. Wenger’s famous nous in the transfer market had been a rip-roaring success at Monaco and in his first full summer at Arsenal, he continued that trend with some of the most important signings in the club’s history. In came one of the most promising youngsters in world football, Nicolas Anelka, and he was joined by Emmanuel Petit, Marc Overmars and Gilles Grimandi – all players that would have a major impact on Arsenal’s success over the coming years. With a strong squad that already boasted Patrick Vieira, Dennis Bergkamp and a host of English talent, Arsenal played their way to the league title, finishing a point ahead of Manchester United and securing their return to the Champions League. In a season of ups and down, where Wenger had to fully flex his muscles to the fans and the players, his stubbornness and unwavering belief in his approach paid the ultimate dividends. “Arsène who?” was now Mr. Wenger. Wenger’s altogether different approach was proving pivotal. The club was playing the most technical football seen in England since the Liverpool team of 1987/88. Furthermore, they had implemented a pressing game in the opponents’ half that hadn’t been seen before. They were running faster, longer and more frequently than anyone else in the league. They were now the only team that could rival the empire that Sir Alex Ferguson had built 200 miles north in Manchester. Later that season, Wenger also became the first foreign manager to win the double in English football, securing the FA Cup with victory over Newcastle United. Wenger, in only his second season in English football, was already the most successful and pioneering foreign manager in British history. 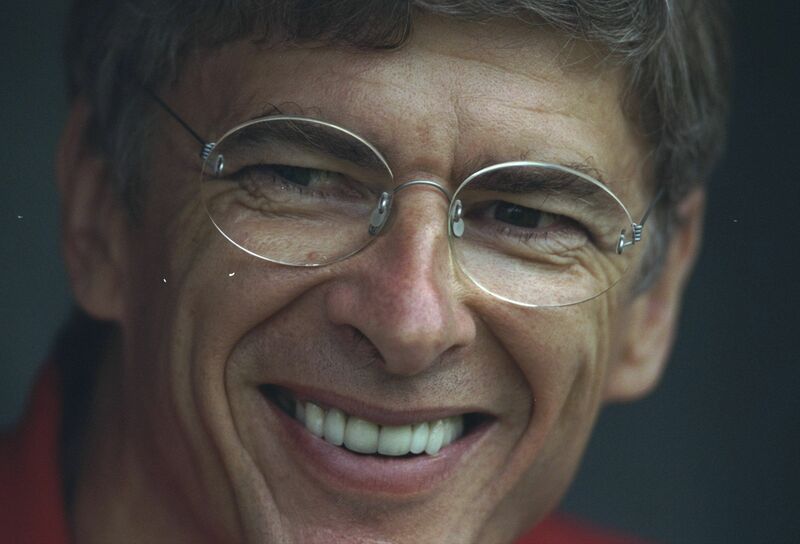 Wenger achieved a second double in 2002 as the club lifted the league and FA Cup. 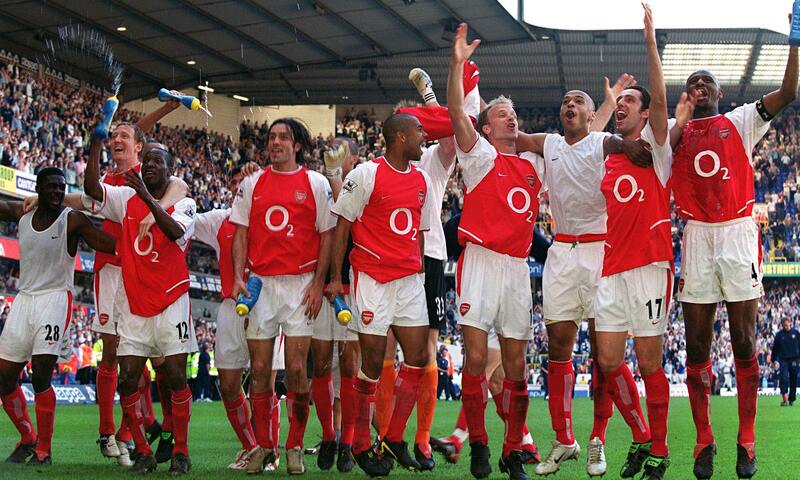 Having kept his squad fresh and brought in a number of players, turning some, like Thierry Henry, into world beaters, he sought to establish the club’s dominance in England. That dominance would come in 2003-04. Against the tricky backdrop of the club’s attempts to convince locals and fans of the importance of a new stadium, Arsenal embarked on an unbeaten season, claiming arguably the most one-sided league title in the modern era. Finishing 11 points ahead of Chelsea and a whopping 15 ahead of Manchester United, Henry, Vieira and co. played out Wenger’s finest season as the club’s manager. To understand Wenger’s wider influence on that group of players is to look at where they are now. Patrick Vieira is taking his first managerial steps in New York, Martin Keown has gone into coaching, Dennis Bergkamp is on the verge of becoming a manager, Sol Campbell is a well-qualified coach, Jens Lehmann is much the same and Thierry Henry has stated his intention to go into management one day. Their philosophies and outlooks have been shaped by Wenger, which ensures that his legacy will live on through the works of his finest protégés. Countless other players in his previous teams have gone on record to highlight Wenger’s influence in their coaching careers. The club once known as “Boring Boring Arsenal” under George Graham were the best ball-players in the country. A joy to watch, Wenger had come in as the untrusted foreigner, paved the way for others to join, and rewrote the tactical rulebook. Out went the early long ball up to John Hartson and in came Tony Adams collecting off David Seaman. Out also went the bruising midfield players that Arsenal were famous for and in came the technical, fluid passing games of Vieira and Petit. The team was sumptuous on the break, utilising the wide areas through full-backs Lauren and Sylvinho – and later Ashley Cole – and enabling the likes of Robert Pires and Freddie Ljungberg to dart inside and contribute goals. This was Arrigo Sacchi-esque football at its finest. It was Total Football in England – something few could’ve ever believed was possible. What many didn’t know at the time was that Wenger was laying the blueprint for the future of the Premier League. Fans now expect high-tempo pressing; anything else is considered regressive and negative. How times change. Boring, long ball football has given way to a generation of teams playing similar styles with identical formations. And who brought it all to England and made it work? Arsène Wenger. Wenger’s impact on the English game extends beyond just his tactics, too. He was the first manager to tilt the balance of his team from largely British to largely foreign. He wasn’t afraid to bring over the foreigners that were for years considered too fragile and naive to play English football – in fact, he believed the complete opposite. Flair players from France came in their droves, while Dennis Bergkamp became arguably the best number 10 in Premier League history. Players that were for so long associated with the flair of the continental game were now on English shores and thriving under the influence of Wenger. He had studied the English game, knew its weaknesses, and knew how to make it better. Wenger was also the first manager to admonish his players behind closed doors but back them in the face of public criticism. A common trait amongst managers now – one that in some ways helped bring about the end of Brendan Rodgers at Liverpool – Wenger was the first to bring out the “I didn’t see the incident” line on a regular basis. It was infuriating for fans of the opposition, and probably for referees too, but his insistence of backing his players was a far cry from the public hairdryer treatments afforded down the years in England. The influence of Wenger also made him the first manager to take on Ferguson’s empire both in the league and in the media. The darling of the written press, Ferguson had been largely unchallenged except for Kevin Keegan’s short but fruitless attempt to dislodge Manchester United and Kenny Dalglish’s one-season wonders at Blackburn. Wenger knew that to shift the balance of power to the south, or at least find some equilibrium, he would have to beat Ferguson at his own game. His sometimes charming, sometimes sullen press conference had everyone engaged. His witty retorts to Ferguson’s mind games cut a chord amongst Manchester United and Arsenal fans, establishing Wenger as the first genuine challenger to Ferguson’s reign as the untouchable king of the Premier League. While Wenger’s impact on the Premier League is unquestionable, it’s his work within the confines that Arsenal that is equally impressive. The development of the London Colney training ground has been nothing short of staggering. The Gunners now boast one of the finest training facilities in world football – a far cry from the pre-Wenger era when the ground was shared with Watford and the University of London and the pitches were in dire condition. The stadium, now just an afterthought for so many when considering his time at Arsenal, is the single-most important achievement in his reign at the club. It secures the club’s future financially while providing a fitting home to attract sponsors and players in this UEFA-driven world of Financial Fair Play. Wenger had predicted the onset of FFP long before the rest and was prepared to see Arsenal go through transitional periods for the greater good. Some will argue that this transitional period should’ve ended years ago, and perhaps there’s some justification. Either way, the stadium took a decade to plan and build and it has now been a decade since it has opened. Perhaps the fruits of that labour will come to a head in the coming seasons. There’s evidence to suggest that, as Arsenal begin to ramp up their spending and bring in the calibre of player that characterised Wenger’s early years at the club. That said, despite Wenger’s era-transcending influence in English football, there’s still the nagging thought that he hasn’t won enough. Three Premier League titles and sew=ven FA Cups don’t do his work in England justice, and it’s for this very reason that so many Arsenal wanted change. To put everything into perspective, however, Wenger’s net spend at Arsenal is just £136 million, far short of Manchester United, Chelsea, Liverpool and Manchester City. While fans are tired of that excuse, to continually qualify for the Champions League, and challenge for the league title, marks the quality of Wenger as a manager and his ability to succeed with limited resources. It also marks his stubbornness at staying loyal to his players, a trait that worked for him in the past but failed him recently. It’s difficult to predict the future at a Wenger-less Arsenal. Will they be rejuvenated under new ideas? Or will they miss the figurehead who’s proved so vital to them becoming an established power? Either way, the Frenchman’s legacy is secured and Arsenal are in a much better shape than when he took the reigns. Despite Wenger’s time at Arsenal being broadly split into two decades, the first a successful, innovative era, and the second characterised by the burden of a new stadium and underachievement on the pitch, his impact on the wider English game shouldn’t be overlooked. 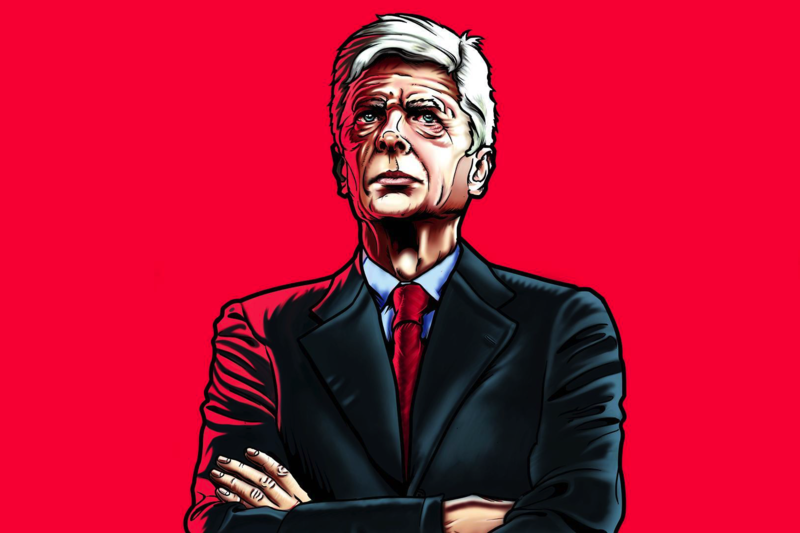 For here we have a manager who came in as “Arsène who?” and led his side to unqualified success in the Premier League, rewriting many decade-old rules along the way. Wenger was a pioneer in his early years – the exact man English football needed to become the most popular, profitable and powerful league in the world. Every success story has its heroes, and Wenger should rightly be considered that for the English game. Love him or loathe him, the facts speak for themselves. 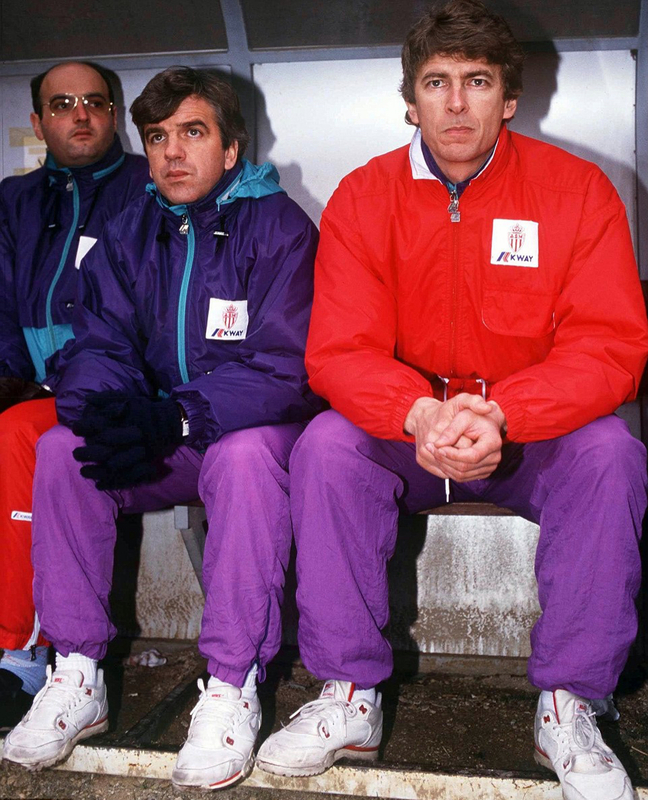 And while we’re at it, let’s not forget that Wenger was a manager before Arsenal – a fine one at that too. His work at Monaco had wide-reaching implications for French football and played a part in changing the approach of the national game within the domestic structure and the Les Bleus set up. His influence on coaches and young players in the late 1980s and early-90s undoubtedly influenced France’s World Cup and European Championship victories. So here’s to Arsène Wenger, the progressive mastermind who has spent most of his career swimming against the tide, and the man who decided that English football could be so much better. Illustration courtesy of Gundsgn Studio, by Rudi and Robin Gundersen. Check out more of their outstanding work here.